The 'Sir James Gunn Westford knight' idea is ludicrous. Why? The event - legend is a better term - is meant to have occurred in, say, 1398 when Sir Henry Sinclair was meant to have sailed from Scotland to Nova Scotia and beyond and taken a knighted Gunn with him (whose coat of arms / shield is later found carved on a rock in America...). Note there is no primary record for this legend. Why would anyone have kept quiet about this? The lack of publicity / history at the time is in itself an issue (unless you believe in conspiracy theories and / or Knights Templar stories). Firstly the Knight question - And the issue of knighthoods is simple; knighthoods were not traditional in Scotland (King Malcolm was only knighted in 1158). It was an Anglo-Norman import encouraged by King David and ‘when knights appear in Scotland they bear names that indicate an English or even Continental origin. What, therefore of the native Scot? The general opinion in the mid-twelfth century was that the Scots were barbarians.’ So, knighthoods were introduced into Scotland and they were important; the ‘absence of any class dividing line below the rank of baron, between noble and non-noble, in Scottish freeholding landed society made knighthood important as an index of high standing, especially for the upwardly mobile. That, and the endurance of feudal bonds and of the forty day military service obligation of knights, gave the knight a social significance that was relatively sharper than that which it enjoyed in, say, the English sub-baronial genteel society of knights and esquires’ So, with Scottish knights we are talking significant figures in their local history, more so than with English Knights of the time, but yet we find no primary references to Gunn knights. And there should be a record in the main historical papers; Scottish Knights were significant local and national figures. And the knights bore Anglo-Norman names; not Celtic Gunn. It seems extremely unlikely that Gunn knights existed given lack of primary sources mentioning them, lack of descent from knights and lack of known Royal service. Being from a review of K Stevenson’s Chivalry and Knighthood in Scotland 1424-1513 by Dr Maurice Keen, University of Oxfordhttp://www.history.ac.uk/reviews/review/613 accessed 31 January 2013. Secondly; This Westford knight was meant to have been coroner of Caithness. There is no proof for that at all. We have some proof for one Gunn coroner existing later (but the 'proof' he had a son who was coroner is also extremely poor). The (un)importance of the coroner role is also covered on this site. Thirdly - of 'Clyth'. Again there is no primary proof of any Gunn being 'of Clyth' - and there is a lot of proof suggesting otherwise. Fourthly - Why would Sinclair have chosen a random Gunn? Sinclair's territory was not Caithness. Fifthly - Why would the Gunn go especially if he was 'coroner ' and 'of Clyth'? Surely he'd have too many responsibilities if being coroner was of any real importance? Sixthly - I have very serious doubts about any Gunn history before Gunn coroner. The lack of primary sources may be explained by war, plague, pestilence and such like as is normally done by Gunn 'historians' in the 1800s but it can also be explained by the much, much simpler idea that the Gunns were just not that important - see my entry on Smibert and Gunn origins. Seventhly - why Westford, Mass.? It's long way from Nova Scotia in the 1400s. And it's inland. If one was undertaking a voyage of exploration you stayed on the coast. Why go a long way inland? That generally meant death. If Gunn made much impact on the locals say by staying for some time - and if this illustration / stone etching at Westford was meant to have been done by locals - more than one carving would have been found. Only one is found. The illustration (page 34) in Goudsward's book shows a knight in full, heavy gear which is not clothing anyone would be wearing through inland USA in 1398. The illustration also shows a 'big boy' - think Friar Tuck in Robin Hood movies - and no one that overweight wearing the illustrated outfit would have been wandering through unknown lands as it would be physically impossible. The etching seems odd though, judging by the illustration. Why? One can imagine if a Knight died his friends may have made a memorial. This does not look like any memorial, not even an incompetent one as a name would be given and perhaps a religious quote. These are not there. As well, the Knight would have been shown being more 'restful' than what is there. So it's unlikely to be a memorial. Why else would one do a random drawing of a knight when wandering in 1398? It's not a memorial. It's not religious. I doubt random graffiti! I can't think of another logical reason for the etching to be done. Finally - the shield. Given the impossibility (otherwise we would have heard of him in main Scottish records as he'd have to be that famous) of a Gunn being knighted, the coat of arms / shield can not be Gunn. Professor David Schafer of the Peabody Museum of Archaeology and Ethnology at Harvard examined the effigy and concluded that only the sword section of the carving is definitely a medieval punch carved drawing, and that the rest was just glacial scratches. So - a real academic says that only the sword on the etching was medieval. The rest is made up by people's dreams. Now, who, why and how the sword was drawn is interesting but the etching has nothing to do with a Gunn - and that's for archaeological reasons, not historical. Clan Gunn literature often claims that its forebears were "Discoverers of America." The story is detailed in the Clan Gunn Heritage Centre of the Clan Gunn Society (UK) in Latheron, Caithness, and is mentioned on the Web of the Scottish Executive (the devolved government for Scotland). A Scottish nobleman, Sir Henry Sinclair (sometimes called Prince Henry), is thought to have sailed to Nova Scotia in 1398 with a fleet of twelve ships. Some interpret him to be the legendary figure known as Glooscap among the Micmas Indians--a figure who told them of Jesus, Jack and the Beanstalk, and how to roll dice. In 1954 an amateur archaeologist identified what is known as "the Westford Knight," a stone carving of a "fourteenth-century knight" in Westford, Massachussetts . The "carvings" are thought to represent the arms of the ancient Clan Gunn on a knight's shield, what the Clan Gunn interpretive boards deem "the earliest known example of Gunn Arms." That small groups could have crossed the Atlantic at that time is certainly plausible; that they would have encountered native societies on what were perhaps accidental visits and then had an impact on them is not likely and quite different from the historical accounts of castaways in the Age of Explorations. And another bit of Gunn 'history' looks more like mythology - like so mucht when you look closely at it. The AVM Runestone, also known as the Berg-AVM Runestone, is a hoax created in 1985 by students carving runes into a boulder near Kensington, Minnesota, not far from where the Kensington Runestone was found in 1898. In 2001, a carving expert and her geologist father found the AVM Runestone, told the press that it was proof of early Viking or Norse settlement in Minnesota, and began an investigation to prove its authenticity. The creators came forward with their story that it was purely a hoax and not an artifact of Viking explorers. "In the more than 15,000 active archaelogical sites in New England, there has never surfaced any other evidence that 14th-century Europeans traveled as far south as New England .... Is someone came here and carved a stone, they would have left plenty of garbage behind. People don't just show up and carve on a stone and go home. " (Belkin, Douglas, " A knight to remember, The Boston Globe May 27 2004; "1398 Discovery of USA ; The Westford Knight" Rosaline Da Vinci. The Westford Knight, you will recall, is a crude carving of a sword-like shape in Westford, Massachusetts that some believe is surrounded by a larger carving of a human figure, whom recent conspiracy theorists have identified as a knight in the company of Henry I Sinclair, Jarl of Orkney, during his fictitious trip to North America in 1398. Although the fact that this trip could not have actually occurred was convincingly demonstrated in 1898 by Fred W. Lucas and repeatedly thereafter, Sinclair conspiracy theorists continue to maintain that it actually occurred despite no physical or literary evidence existing to support the claim. 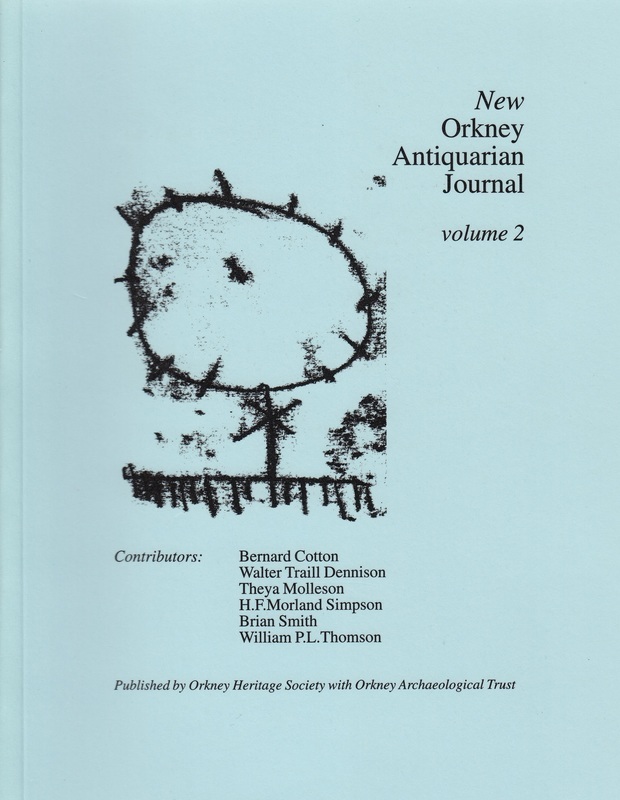 For an excellent academic demolition of 'Earl Henry Sinclair's fictitious trip to America' - and consequently no Clan Gunn Westford Knight - see the New Orkney Antiquarian Journal' volume 2, 2002 pages 3 to 18. The author of the article is Brian Smith.